Years of research and development, plus many lifetimes of combined guiding experience from the Nomad Team, has led to the new Nomad Design range of GT & Bluewater Casting Lures. 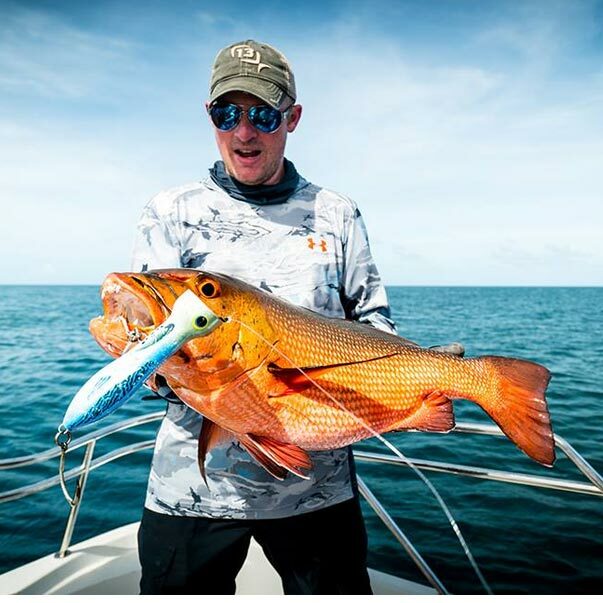 The Chug Norris is designed to be the ultimate popping lure for GT fishing. 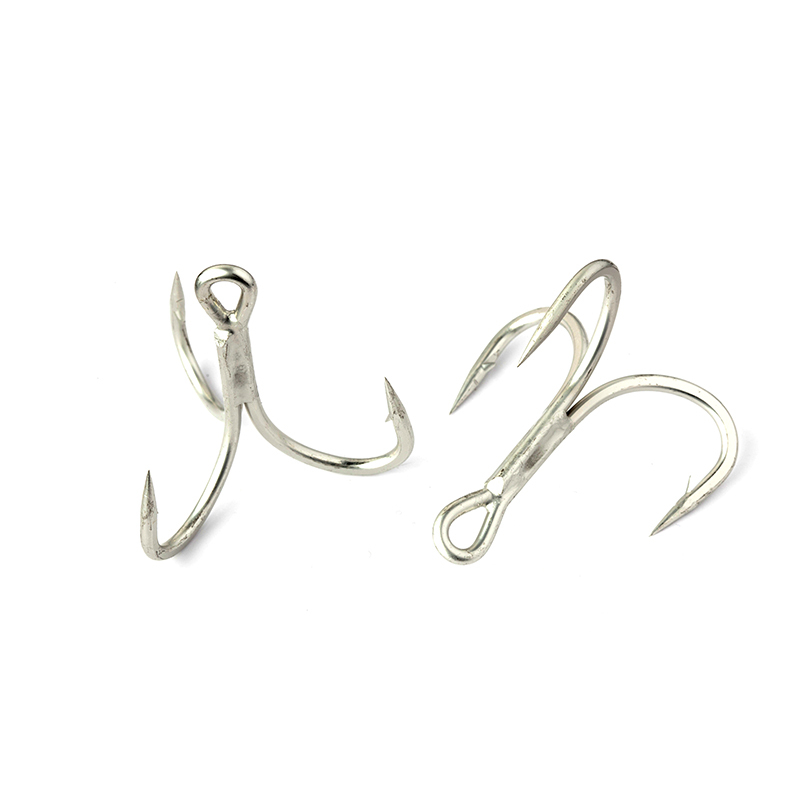 These lures are supplied rigged with Nomad Inline BKK single hooks and heavy duty split rings. Chug Norris Poppers cast like a rockets and are super tough. They have been designed by the Nomad Team to be the easiest to use popper on the market. They capture all the best attributes of a popper. Choose from 180mm 120g, 150mm 80g and 120mm 45g models. 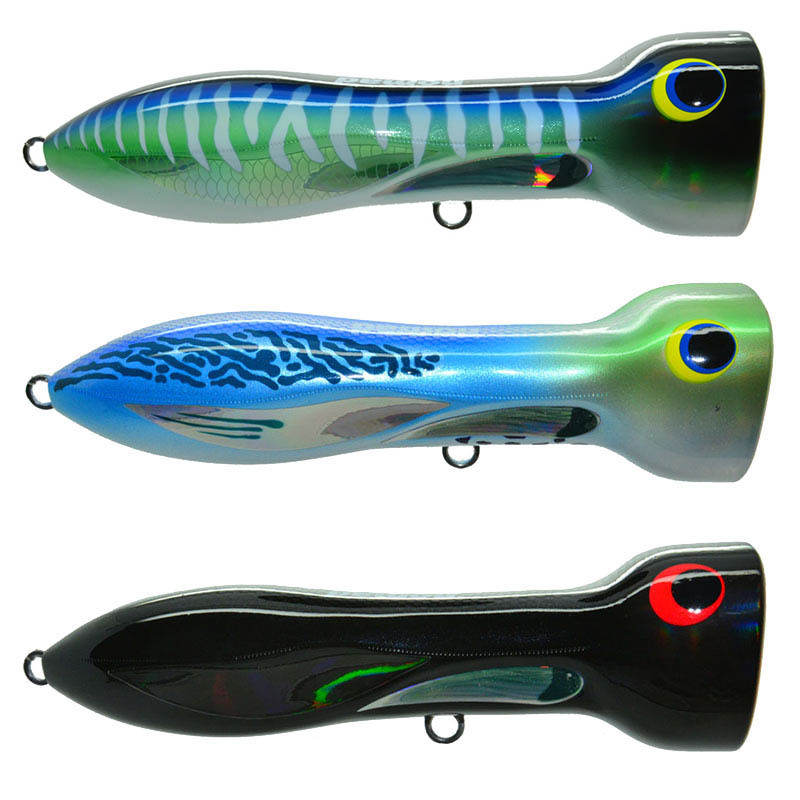 The ultra-deep cup face, designed round at the bottom and square at the top, and curved body contours may not be noticed at first, but these subtle design features are what makes this lure unique. 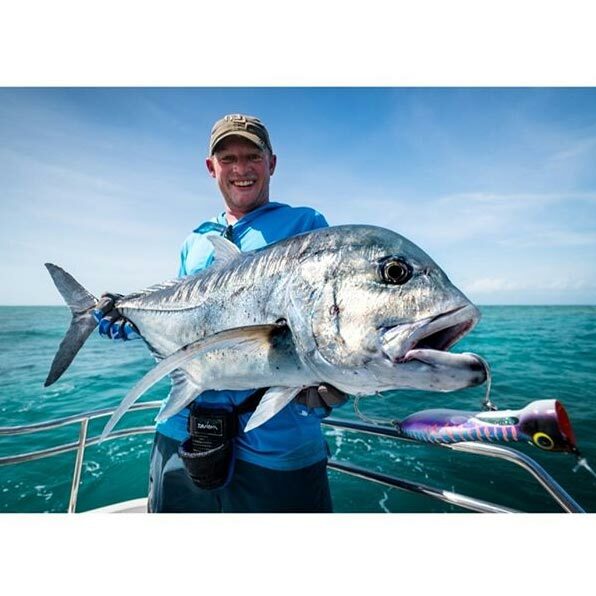 The Black Chrome colour caught a 60KG GT in its first week of testing at Jewell Reef in September 2014, and has since developed a cult following amongst the Nomad guides and guests. Built from high impact new technology ABS plastic with the highest strength to weight ratio you'll find in any lure manufacturing material. Built with an extra thick outer shell body, foam filled body and a full stainless machine stamped metal plate, this lure might even be tougher than the bloke it was named after. We think you'll like it! Hand painted unique colour range. Super Strong High Impact ABS Foam Filled body. Full Body Machine Stamped Stainless Steel plate for super strength. They make that awesome slurping/ripping noise that you want to hear from a popper, and you get maximum reward from effort. They hang in the water just right and casts like a bullet. The awesome wiggle it gets when popped just makes fish go wild. 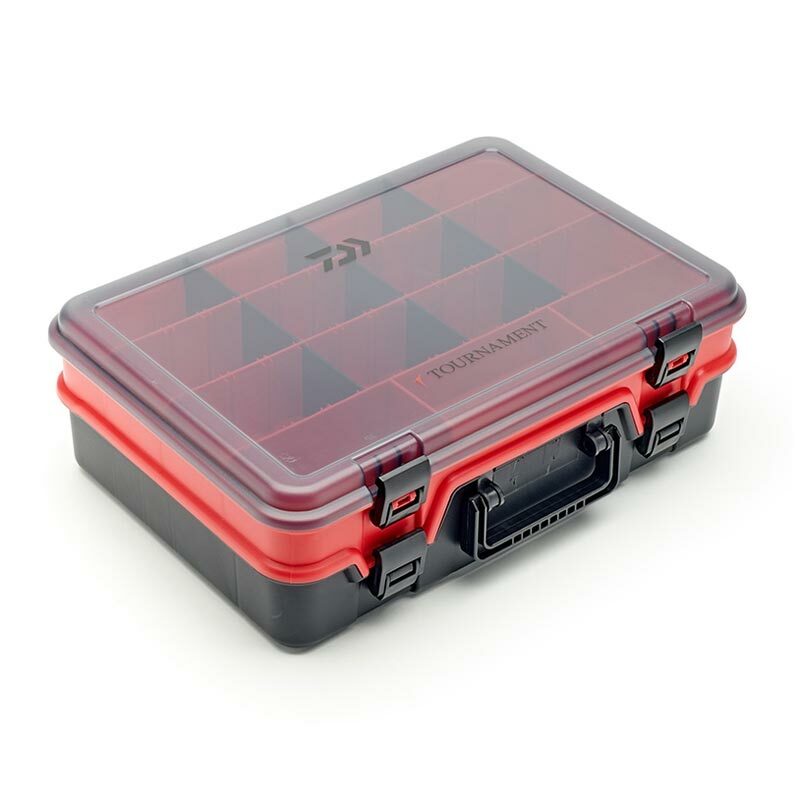 The Chug 180 & 150 are built from HD ABS plastic with an extra thick outer shell and stainless steel metal plate, the body is then filled with foam for the ultimate in strength and durability. It comes rigged with BKK inline single 5/0 (150mm) 11/0 (180mm) hooks and is ready to fish out of the box. This lure might even be tougher than the bloke it was named after. If you like poppers, you will love the Chug Norris! 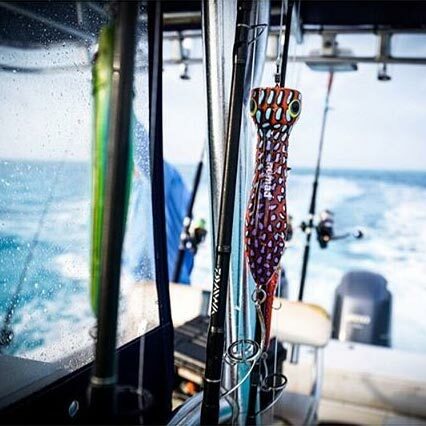 The Chug Norris 120 features a rattle in the head and can be used a slow walk the dog surface lure for cod and barramundi, in addition to being perfect for trevally, kingfish and tuna. 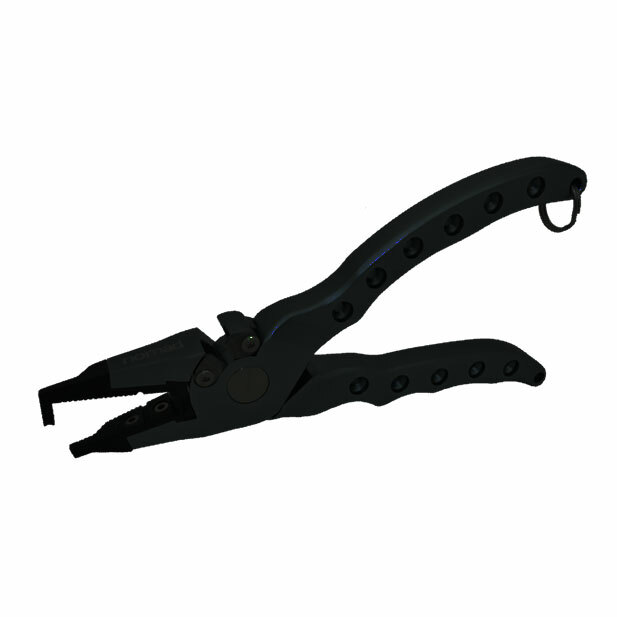 The 3/0 inline hooks and Gorilla Through Wire construction ensure maximum strength for every application.